All Sandy Spring homes currently listed for sale in Sandy Spring as of 04/24/2019 are shown below. You can change the search criteria at any time by pressing the 'Change Search' button below. If you have any questions or you would like more information about any Sandy Spring homes for sale or other Sandy Spring real estate, please contact us and one of our knowledgeable Sandy Spring REALTORS® would be pleased to assist you. "Price Improvement! Beautiful gem in sought after Bancroft; a private enclave of sophisticated homes w/award winning landscape design. Perfectly situated on private cul-de-sac backing to woods and fronting to open space. 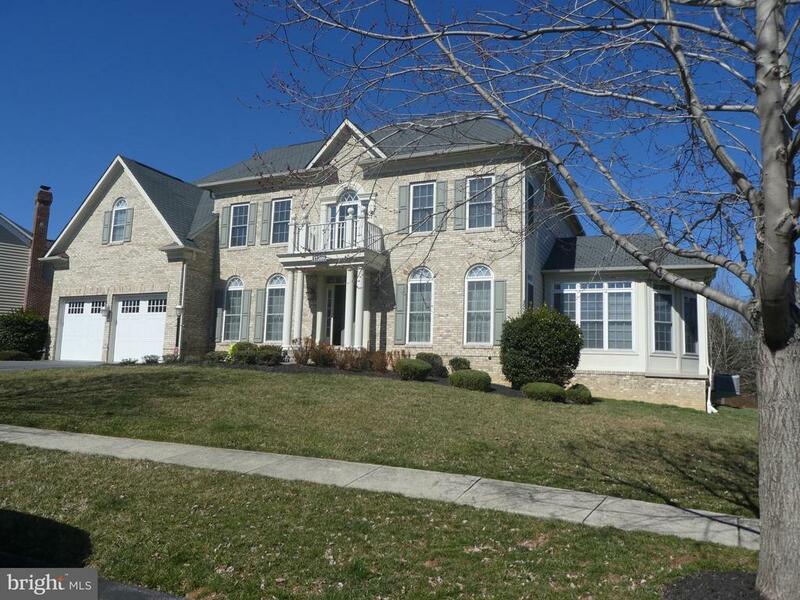 Conveniently located minutes to the restaurants, shops, and top rated schools of Olney. Fabulous natural light suffuses this spacious home perfect for entertaining. Designer features include airy 10 & 12 ft ceilings, rare true CHEFS KITCHEN w Viking Gas Range & warming drawer, Wolf & SubZero appliances, huge granite island, walk-in pantry, & Anne Sacks limestone flrs. Throughout the home enjoy custom cabinets, Waterworks fixtures, & granite in all bathrooms. The soaring Great Room w/ panoramic windows overlooks a large level backyard and features a gas stone fireplace. The Upper Level offers 5 bedrooms including spacious Master Suite complete w/tray ceiling, sitting room, huge dual walk-in closets, and Master Bath w/ separate vanities, soaking tub, and separate walk-in shower. Two Laundry Rooms; Upper & Main Levels, with New washer & dryer on Upper level. Finished basement features wet bar, Exercise & Rec Rooms, & possible Au Paire Suite/6th bedroom w/ full bath. 3 Car side load Garage. Enjoy hassle-free lawn maintenance included in HOA amenities and take advantage of the one year Home Warranty offered to buyers." "Luxurious single family in prestigious Bancroft Community! Immaculately maintained w/ over 5,900 Sq Ft of living space and backing to conservation area. 2 story foyer leads to LR and sunroom with dbl sided FP. Formal DR perfect for entertaining. Gourmet kitchen w/ granite counters and top of the line SS appliances. Bright FR w/ coffered ceiling. Elegant MBR w/ sitting room, balcony, and ensuite." 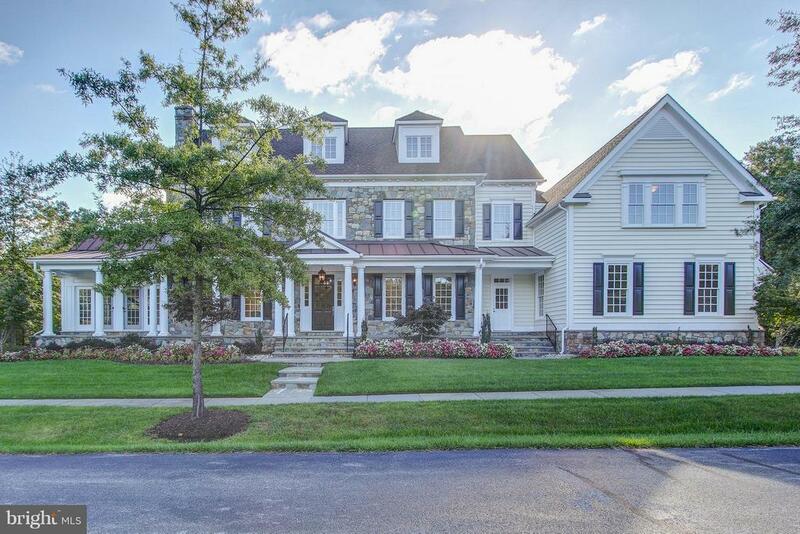 "Welcome to this award winning, 5 bedroom 4.5 bath home (The Ashton II) built by Mitchell & Best, with a handsome stone exterior and inviting front porch that backs to woods. The professionally designed landscaping enhances the historic style architecture, creating a radiant design. Offering a courtyard style, 3 car garage and dozens of windows, this home has great curb appeal. Upon entry, you'll be struck by the gracious two story foyer, with immediate views of exciting architectural design, showcasing elegant archways and formal living room, with an impressive trim and moldings package, as well as a grand chandelier above, which can be lowered and raised by electric lift, for easy cleaning. Gleaming hardwood floors adorn most of the main and upper levels of the home, as well as the angled stairway. The unique open stairway and landing features solid oak rails and also steps down to the other side, with an extraordinary view of the kitchen, sun room and family room. The richly appointed dining room features abundant crown and chair rail molding and full length windows that create streams of natural light, with access to the upgraded butler's pantry and kitchen area. The spacious family room features hand-crafted built-ins, a magnificent, natural gas fireplace and richly detailed ceiling designs. The casual dining area is well suited to add a large table and the expansive windows in the sun room, living room and office make all the flowing space bright and cheery. The gourmet kitchen, with its over-sized island serving bar, features premier 42 upgraded cabinets with crown molding, granite counter tops, ceramic tile back-splash and stainless steel appliances, including top quality, GE wall ovens with warming drawer, a brand new GE refrigerator and a Miele La Perla dishwasher. On the way in from the garages, the mud room includes a granite topped desk with matching premier cabinetry and the laundry room includes matching Samsung Washer & Dryer with pedestals, as well a"
"Pristine 5,375 sq. ft Colonial, plus finished basement in Auburn Village community - Majestic 2 story family room off large open gourmet kitchen with hardwood floors, recessed lights. Exquisite architectural details. Soaring ceilings, tray ceilings, two sunroom, butlers pantry, rec room, media room, exercise room. Gorgeous lot backing to trees - with a scenic view beyond the cul-de-sac. Make it your new home for the summer."